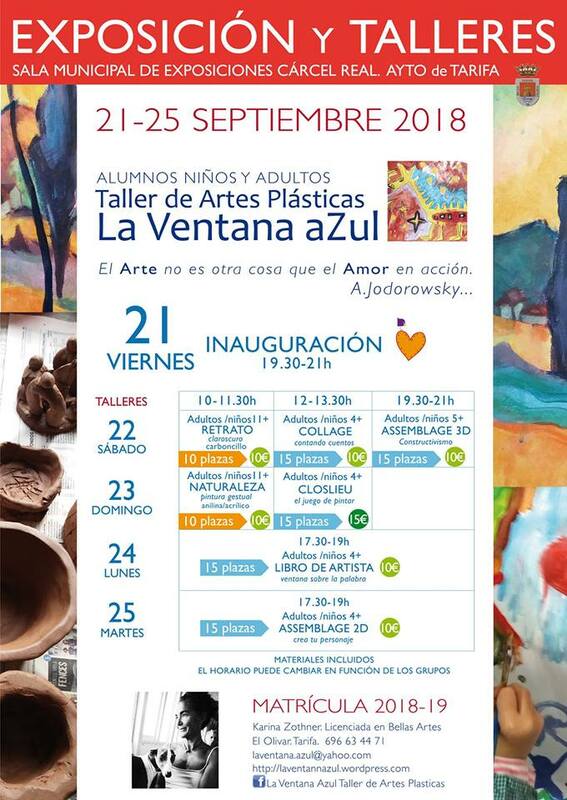 This coming Friday, September 21st, the Expo of students of the Plastic Window Workshop La Ventana Azul opens in the Municipal Exhibition Hall of the Royal Prison of Tarifa. Workshops for children and adults will be held within the framework of the exhibition. The next academic year 2018-2019 will begin in October until May.